On the second day of a new service, the Cape Cod & Hyannis train between Braintree and Hyannis accelerates away from the stop at Middleboro, MA. 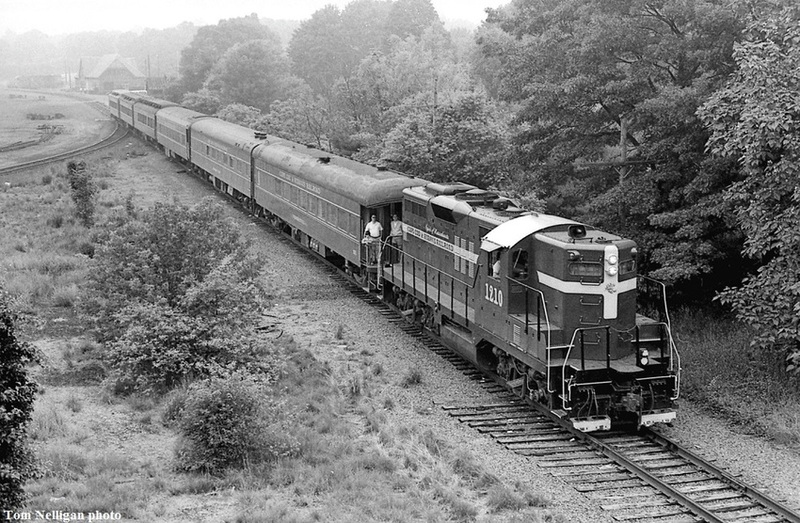 The CC&H ran up to Braintree each summer from 1984 through 1988, but that ended when a state subsidy was withdrawn. Photographed by Tom Nelligan, July 1, 1984.